Egg yolks are home to tons of essential but hard-to-get nutrients, including choline, which is linked to lower rates of breast cancer (one yolk supplies 25% of your daily need) and antioxidants that may help prevent macular degeneration and cataracts. Though many of us have shunned whole eggs because of their link to heart disease risk, there’s actually substantial evidence that for most of us, eggs are not harmful but healthy. People with heart disease should limit egg yolks to two a week, but the rest of us can have one whole egg daily; research shows it won’t raise your risk of heart attack or stroke. Make omelets with one whole egg and two whites, and watch cholesterol at other meals. Yogurt is a great way to get calcium, and it’s also rich in immune-boosting bacteria. But next time you hit the yogurt aisle, pick up the Greek kind—compared with regular yogurt, it has twice the protein (and 25% of women over 40 don’t get enough). Look for fat-free varieties like Oikos Organic Greek Yogurt (90 calories and 15 g of protein per 5.3-ounce serving). Yes, it does a body good: Studies show that calcium isn’t just a bone booster but a fat fighter too. Recent research from the University of Tennessee found that obese people who went on a low-calorie, calcium-rich diet lost 70% more weight than those who ate the least. Vitamin D not only allows your body to absorb calcium, it’s also a super nutrient in its own right. Recent research found that adequate D levels can reduce heart disease risk, ward off certain types of cancer, relieve back pain, and even help prevent depression, but most of us don’t get nearly enough of the 1,000+ IU daily that most experts recommend. A splash of milk in your morning coffee isn’t enough to provide the calcium and vitamin D you need. Use milk instead of water to make your oatmeal, have a glass with breakfast, or stir some chocolate syrup into it for an after-dinner treat. 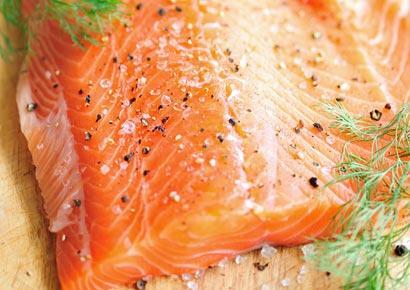 Salmon is a rich source of vitamin D and one of the best sources of omega-3s you can find. These essential fatty acids have a wide range of impressive health benefits—from preventing heart disease to smoothing your skin and aiding weight loss to boosting your mood and minimizing the effects of arthritis. Unfortunately, many Americans aren’t reaping these perks because we’re deficient, which some experts believe may be at the root of many of the big health problems today, like obesity, heart disease, and cancer. Omega-3s also slow the rate of digestion, which makes you feel fuller longer, so you eat fewer calories throughout the day. Lean beef is one of the best-absorbed sources of iron there is. (Too-little iron can cause anemia.) Adding as little as 1 ounce of beef per day can make a big difference in the body’s ability to absorb iron from other sources, says Mary J. Kretsch, PhD, a researcher at the USDA-ARS Western Human Nutrition Research Center in Davis, CA. Beef also packs plenty of zinc (even minor deficiencies may impair memory) and B vitamins, which help your body turn food into energy. If you can, splurge on grass-fed. Compared with grain-fed beef, it has twice the concentration of vitamin E, a powerful brain-boosting antioxidant. It’s also high in omega-3 fatty acids. Because this type of beef tends to be lower in overall fat, it can be tough—so marinate it, and use a meat thermometer to avoid overcooking. It’s hard to imagine a more perfect food than beans. One cooked cupful can provide as much as 17 g fiber. They’re also loaded with protein and dozens of key nutrients, including a few most women fall short on—calcium, potassium, and magnesium. Studies tie beans to a reduced risk of heart disease, type 2 diabetes, high blood pressure, and breast and colon cancers. The latest dietary guidelines recommend consuming at least 3 cups of beans a week—3 times the measly 1 cup we usually get. Keep your cupboards stocked with all kinds: black, white, kidney, fat-free refried, etc. Use them in salads, stuffed baked potatoes, and veggie chili or pureed for sandwich spreads. In a nutshell: USDA researchers say that eating 1½ ounces of tree nuts daily can reduce your risk of heart disease and diabetes. Walnuts are rich in omega-3s. Hazelnuts contain arginine, an amino acid that may lower blood pressure. An ounce of almonds has as many heart-healthy polyphenols as a cup of green tea and 1/2 cup of steamed broccoli combined; they may help lower LDL cholesterol as well. The key is moderation, since nuts are high in calories. Keep a jar of chopped nuts in your fridge, and sprinkle a tablespoon on cereal, salads, stir-fries, or yogurt. Or have an ounce as a snack most days of the week. Soy’s days as a cure-all may be over—some claims, such as help for hot flashes, don’t seem to be panning out—but edamame still has an important place on your plate. Foods such as tofu, soy milk, and edamame help fight heart disease when they replace fatty meats and cheeses, slashing saturated fat intake. Soy also contains heart-healthy polyunsaturated fats, a good amount of fiber, and some important vitamins. Soy’s isoflavones, or plant estrogens, may also help prevent breast cancer. Some researchers believe these bind with estrogen receptors, reducing your exposure to the more powerful effects of your own estrogen, says Prevention advisor Andrew Weil, MD. But stick with whole soy foods rather than processed foods, like patties or chips, made with soy powder. Don’t take soy supplements, which contain high and possibly dangerous amounts of isoflavones. Fiber-rich oats are even healthier than the FDA thought when it first stamped them with a heart disease-reducing seal 10 years ago. According to new research, they can also cut your risk of type 2 diabetes. When Finnish researchers tracked 4,316 men and women over the course of 10 years, they found that people who ate the highest percentage of cereal fiber were 61% less likely to develop type 2 diabetes. To reap the benefits, eat 1/2 cup daily—preferably unsweetened. For a versatile breakfast, top with different combinations of fruit, yogurt, and nuts. You can also use oats to coat fish or chicken or add texture to meatballs. Flaxseed is the most potent plant source of omega-3 fats. Studies indicate that adding flaxseed to your diet can reduce the development of heart disease by 46%—it helps keep red blood cells from clumping together and forming clots that can block arteries. It may also reduce breast cancer odds. In one study, women who ate 10 g of flaxseed (about 1 rounded tablespoon) every day for 2 months had a 25% improvement in the ratio of breast cancer-protective to breast cancer-promoting chemicals in their blood. Sprinkle 1 to 2 tablespoons of flaxseed a day on your cereal, salad, or yogurt. Buy it preground, and keep it refrigerated. Olive oil is full of heart-healthy monounsaturated fats (MUFAs), which lower “bad” LDL cholesterol and raise “good” HDL cholesterol. It’s rich in antioxidants, which may help reduce the risk of cancer and other chronic diseases, like Alzheimer’s. Look for extra virgin oils for the most antioxidants and flavor. Drizzle small amounts on veggies before roasting; use it to sauté or stir-fry, in dressings and marinades, and to flavor bread at dinner in lieu of a layer of butter or margarine. These smooth, buttery fruits are a great source of not only MUFAs but other key nutrients as well. One Ohio State University study found that when avocado was added to salads and salsa, it helped increase the absorption of specific carotenoids, plant compounds linked to lower risk of heart disease and macular degeneration, a leading cause of blindness. “Avocados are packed with heart-protective compounds, such as soluble fiber, vitamin E, folate, and potassium,” says Elizabeth Somer, RD, author of 10 Habits That Mess Up a Woman’s Diet. Get Healthy Avocado Recipes But they are a bit high in calories. 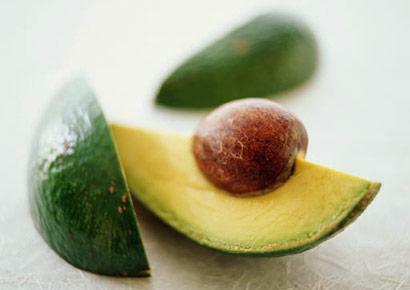 To avoid weight gain, use avocado in place of another high-fat food or condiment, such as cheese or mayo. Pick any life-threatening disease—cancer, heart disease, you name it—and eating more broccoli and its cruciferous cousins may help you beat it, Johns Hopkins research suggests. Averaging just four weekly servings of veggies like broccoli, cabbage, and cauliflower slashed the risk of dying from any disease by 26% among 6,100 people studied for 28 years. For maximum disease-fighting benefits, whip out your old veggie steamer. It turns out that steaming broccoli lightly releases the maximum amount of sulforaphane. We’ll spare you the Popeye jokes, but spinach has serious health muscles. For one thing, it contains lots of lutein, the sunshine-yellow pigment found in egg yolks. Aside from guarding against age-related macular degeneration, a leading cause of blindness, lutein may prevent heart attacks by keeping artery walls clear of cholesterol. Spinach is also rich in iron, which helps deliver oxygen to your cells for energy, and folate, a B vitamin that prevents birth defects. Cook frozen spinach leaves (they provide more iron when cooked than raw) and serve as a side dish with dinner a few times a week. Tomatoes are our most common source of lycopene, an antioxidant that may protect against heart disease and breast cancer. The only problem with tomatoes is that we generally eat them in the form of sugar-loaded jarred spaghetti sauce or as a thin slice in a sandwich. For a healthier side dish idea, quarter plum tomatoes and coat with olive oil, garlic powder, salt, and pepper. Roast in a 400°F oven for 20 minutes, and serve with chicken. ining beta-carotene, which your body converts into the vitamin. Beta carotene-rich foods include carrots, squash, kale, and cantaloupe, but sweet potatoes have among the most. A half-cup serving of these sweet spuds delivers only 130 calories but 80% of the DV of vitamin A. Replace tonight’s fries with one medium baked sweet potato (1,096 mcg) and you’re good to go—and then some. Garlic is a flavor essential and a health superstar in its own right. The onion relative contains more than 70 active phytochemicals, including allicin, which studies show may decrease high blood pressure by as much as 30 points. High consumption of garlic lowered rates of ovarian, colorectal, and other cancers, according to a research review in the American Journal of Clinical Nutrition. Allicin also fights infection and bacteria. British researchers gave 146 people either a placebo or a garlic extract for 12 weeks; garlic takers were two-thirds less likely to catch a cold. The key to healthier garlic: Crush the cloves, and let them stand for up to 30 minutes before heating them, which activates and preserves the heart-protecting compounds, according to a 2007 study from Argentina. Citrus fruits get all the credit for vitamin C, but red peppers are actually the best source. Vitamin C may be best known for skin and immunity benefits. Researchers in the United Kingdom looked at vitamin C intake in 4,025 women and found that those who ate more had less wrinkling and dryness. And although getting enough vitamin C won’t prevent you from catching a cold or flu, studies show that it could help you recover faster. Vitamin C has other important credentials too. Finnish researchers found that men with low levels were 2.4 times likelier to have a stroke, and Australian scientists recently discovered that the antioxidant reduces knee pain by protecting your knees against arthritis. 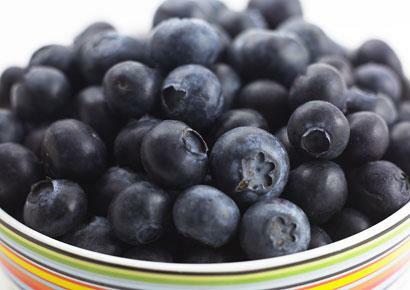 Blueberries may very well be the most potent age-defying food—they’re jam-packed with antioxidants. When researchers at Cornell University tested 25 fruits for these potent compounds, they found that tangy-sweet wild blueberries (which are smaller than their cultivated cousins) packed the most absorbable antioxidants. Research shows a diet rich in blueberries can help with memory loss, prevent urinary tract infections, and relieve eyestrain. Add up to 1/2 cup of blueberries to your diet a day for maximum health benefits, recommends Ronald Prior, PhD, adjunct professor of food science at the University of Arkansas in Fayetteville. This alone provides just about double the amount of antioxidants most Americans get in 1 day. and mandarin oranges. Or make it a dessert: Add peeled and cored pears to a saucepan with 1 cup white wine, 1 teaspoon honey, 1 teaspoon grated fresh ginger, and enough water to cover the pears. Cover and simmer 40 minutes or until pears are soft. A French study published in the Journal of Nutrition found that lychee has the second-highest level of heart-healthy polyphenols of all fruits tested—nearly 15% more than the amount found in grapes (cited by many as polyphenol powerhouses). The compounds may also play an important role in the prevention of degenerative diseases such as cancer. Serve by peeling or breaking the outer covering just below the stem; use a knife to remove the black pit. Add to stir-fries or skewer onto chicken kebabs to add a sweet, grapelike flavor. One of the healthiest fruits you should be eating is one you probably already are: the apple. The Iowa Women’s Health Study, which has been investigating the health habits of 34,000 women for nearly 20 years, named apples as one of only three foods (along with pears and red wine) that are most effective at reducing the risk of death from heart disease among postmenopausal women. Other massive studies have found the fruit to lower risk of lung cancer and type 2 diabetes—and even help women lose weight. In fact, one of the only things that could make an apple unhealthy is mixing it with sugar, flour, and butter and stuffing it into a mile-high pie. Instead, have one as an afternoon snack with a tablespoon of peanut butter, or add slices to sandwiches or salads. Native to South America, this tropical fruit is an excellent source of skin-healing vitamin C, with 250% of your RDA per serving. One cup of guava has nearly 5 times as much C as a medium orange (377 mg versus 83 mg)—that’s more than 5 times your daily need. It’s also loaded with lycopene (26% more than a tomato), which may help lower your risk of heart disease. And according to research by microbiologists in Bangladesh, guava can even protect against foodborne pathogens such as Listeria and staph. You can buy guava juice, or simmer chunks in water as you would to make applesauce. Guava also makes a super smoothie: Blend 1/2 banana, 1/2 ripe guava, a handful of strawberries, 1/2 cup soy milk, and a few ice cubes. 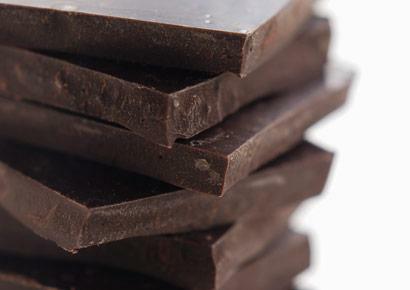 Thank you, dark chocolate, for making us feel good—not guilty—about dessert. Dark chocolate is filled with flavonoid antioxidants (more than 3 times the amount in milk chocolate) that keep blood platelets from sticking together and may even unclog your arteries.It may also help with weight loss by keeping you feeling full, according to a study from Denmark. Researchers gave 16 participants 100 g of either dark or milk chocolate and 2 hours later offered them pizza. Those who consumed the dark chocolate ate 15% fewer calories than those who had milk chocolate, and they were less interested in fatty, salty, and sugary foods. Try a chocolate with 70% or more cocoa. Two tablespoons of dark chocolate chips with fresh berries as a midafternoon snack or after-dinner dessert should give you some of the heart-healthy benefits without busting your calorie budget. How much hair is normal to lose each day?